Last night I attended the Chicago Symphony Orchestra concert with Bernard Haitink, Principle Conductor, conducting. The concert included Joseph Haydn's Symphony No. 44 in e (Mourning), Witold Lutoslawski's Symphony No. 4, and Ludwig Van Beethoven's Piano Concerto No. 4 in G, Op. 58; thus the concert spanned a period of 222 years from the first performance of the Haydn symphony in 1771 (when Beethoven was but one year old) to the first performance of Lutoslawski's symphony in 1993 (one year before his death). While all of the pieces were well-played by the orchestra under the direction of the inimitable Haitink, the most moving and interesting music for me was the Beethoven. 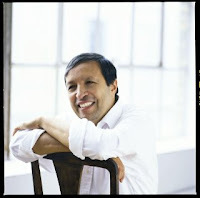 We were fortunate to have Murray Perahia as soloist for the Beethoven concerto. He is most familiar to me through his recordings of Mozart's piano concertos, but his discography includes notable recordings of works by Bach and Beethoven as well, including the concerto he performed last night. Over the years, starting with the Leeds Piano Competition in 1972, he has won many awards and studied with Mieczyslaw Horszowski (one of the great classical piano stylists of the twentieth century and a favorite of mine), while playing with such greats as Rudolph Serkin and Pablo Casals. His performance last night was sublime with a seemingly effortless touch that brought out both the inner tension and heavenly emotion Beethoven imbued in his music. From the uncommon opening of the concerto with the pianist entering before the orchestra, through the meditative yet tense conversation between piano and orchestra that fills the second movement, the concerto is one of the peaks of both Beethoven's oeuvre and the classical concerto literature. The pairing of Perahia's talent with the Chicago Symphony Orchestra in performance of one of Beethoven's greatest concertos was simply the ideal that I seek when listening to a concert. I hope the rest of the concert season will hold similar experiences for me. Joseph Roth remains little known outside the German-speaking countries, despite being one of the most prolific and talented writers of the twentieth century. He is best remembered for two novels recreating, respectively, the shtetl of the Eastern Jews (Hiob or Job, 1930), and the vanished world of the Habsburg monarchy (Radetzkymarsch or The Radetzky March, 1932). However, Roth was one of the best-known and highest paid journalists in the Weimar Republic, whose articles and Feuilletons about Berlin (What I Saw: Reports from Berlin 1920-1933), Paris (Report from a Parisian Paradise: Essays from France 1925-1939), Russia and other places seemed to capture the energy and ambivalence of the Zeitgeist, a culture dazzled by competing ideologies, new technologies, and a burgeoning entertainment industry; and in the case of Berlin the particularly ominous onset of Naziism. His novels from the 1920s, the most famous of which is Die Flucht ohne Ende (Flight without End, 1927), portray a damaged generation of young men and women as vividly as those of Hemingway or Fitzgerald. I have just read the novel Job and find it to be a moving retelling of the Job story from the perspective of the Jews from the netherland border between Poland and Russia at the end of the nineteenth century. It was published in 1930 and marks a turning point in Roth's career. With this novel, Roth takes a transformation of socio-politically motivated journalism to author as a poet of conservative myths. Roth takes for his presentation of Jewish existence within the elements of traditional storytelling. "Job" for Roth meant his breakthrough as a novelist. Mendel Singer is a pious, God-fearing and ordinary Jew who lives in the idyllic Schtetl Zuchnow and performs there with his family a modest life as a village teacher. But the rest of his life will not be long because it through a chain of hard blows from the meaninglessness of his existence is torn by fate. Still he believed humbly that misfortune was just a test from God. The first blow hit him when his youngest son Menuchim is born with epilepsy. This was followed by the drafting of his oldest son Jonas into the military, with which his traditional Jewish faith did not agree. His second son Schemariah flees to America. Ultimately, Mendel Singer must discover that his daughter Miriam is with Cossacks, French, and what the strictly devout Jews considered the epitome of depravity. The Singers decide to emigrate to America. This trip can only be bought while leaving his youngest son Menuchim behind. In New York Mendel meets a new fate: He loses both sons in World War I, and his wife dies from grief over it. When his daughter becomes insane, he loses his strength, to tolerate and to believe, leading from humility and piety to rebellion and spite; Mendel loses his faith in God. From now on he no longer prays and lives quietly and inward. But now he learns the grace of the Lord; and the prophesy of a rabbi's wonder that his sick son Menuchim would become healthy is fulfilled. When the gifted composer and conductor Alexei Kossak (really Menuchim) comes to America he introduces himself to his father. Joseph Roth tells the story of Mendel Singer in a language both allegorical and with biblical directness, whose theme is one of divine visitation and the wonder of God's grace. Roth's answer to the question of the meaning of suffering in the spirit of the Bible is the answer of a skeptic, whose life was visitation, the redeeming grace one fervently longs for, but do not to believe they could find or receive. He speaks to our capacity for delight and wonder, to the sense of mystery surrounding our lives; to our sense of pity, and beauty, and pain; to the latent feeling of fellowship with all creation--to the subtle but invincible conviction of solidarity that knits together the loneliness of innumerable hearts, to the solidarity in dreams, in joy, in sorrow, in aspirations, in illusions, in hope, in fear, which binds men to each other, which binds together all humanity"
His own art of storytelling though his novels and short stories demonstrates this artistic vision repeatedly; nowhere better than in his tale of The Secret Sharer. This is a short episode early in the career of an anonymous Captain of an anonymous ship in Southeast Asia near Siam. Only in his twenties on his first command, the Captain thought he was "somewhat of a stranger to myself", and he "wondered how far I should turn out faithful to that ideal conception of one's own personality every man sets up for himself secretly". It is with these thoughts in mind that in the midst of a mysterious black night he is surprised by a naked man climbing aboard the ship. It turns out to me a Mr. Leggatt, mate from the ship Sephora, who has escaped from that ship and his past actions which had culminated in his being responsible for the death of a ship-mate. The remainder of the story builds suspensefully to a climax in which the anonymous Captain finds out if he is capable of command and perhaps living up to some of the "ideal conception" that he has in mind. Leggat functions as a "double" for the Captain, being explicitly referred to as such even as he lives the life of a shadowy, even ghostly, double hidden in the Captains quarters. The tale suggests the internal struggle that comes with the first assumption of leadership and the need to create your own being through the experience of crisis. All this is draped in a story both mysterious and thought-provoking. The captain, in his anonymity, becomes every captain and everyman who has experienced the struggle toward an "ideal conception" of being. Thornton Wilder's short novel ends with the following sentence: "There is a land of the living and a land of the dead and the bridge is love, the only survival, the only meaning." This conclusion to his story of the death of five innocents as the title bridge collapses is a clue to some of the meaning that one may glean from this well-written novel. 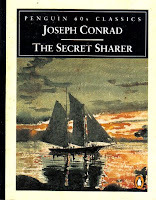 Winner of the Pulitzer Prize in 1928, this novel certainly qualifies as a classic. In my recent, long overdue, reading I found the style fitting for a tale of Peru with the prose evocative of the setting; however, the individual parts were uneven and only with the the story of Uncle Pio did I find the theme of love emerging in a meaningful way for me. Perhaps the opening story of the Marquesa and her daughter, with its layers of Catholicism, was too foreign for me to appreciate. The doppleganger existence of the twins, Esteban and Manuel, was also a strange interlude. Holding the story together like a thread of beautiful silk was the young Camila Perichole (based on a real person as was the Marquesa). Whatever the reason, the novel unfolded for me slowly and became a better read as I neared the ending with its famous sentence. The question of innocence and guilt and who deserves to die remains in my mind long after I laid the novel down. It is certainly one of the very best first novels that I have read and I will likely return to it. The Bridge of San Luis Rey by Thornton Wilder. In Twelve Short Novels selected & introduced by Thomas B. Costain. Doubleday & Company, New York. 1961 (1927). The Marriage of Figaro by Pierre-Augustin Caron de Beaumarchais was first produced in 1784. It was his second play featuring the characters of Figaro and Count Almaviva, The Barber of Seville having previously premiered in 1775. 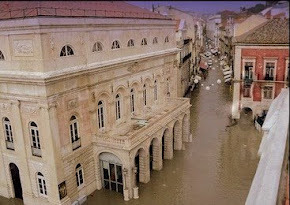 Most people know of these plays and Beaumarchais through their experience of the operas of Mozart and Rossini. However the original plays (and adaptations) have been produced over the years and are sturdy farces for the theater even to this day. Tonight I enjoyed the current production of The Marriage of Figaro by Remy Bumppo think theater. Their production is based on an adaptation by Ranjit Bolt and directed by Jonathan Berry, who directed the recently completed run of On the Shore of the Wide World for the Griffin Theatre Company. The Remy Bumppo update of Beaumarchais, bringing the setting of the play into the era of the 1950s, was a lively and delightfully gay farce that left the audience with smiles. The acting was excellent, but I particularly enjoyed Mary Beth Fisher as the Countess, Greg Matthew Anderson as Cherubin and in the small role of Pedrille, Kevin Viol who absolutely stole his all too brief scenes with impeccable physical comedic timing. The story is familiar to all who have seen the opera, but the choreography of all the actors (especially the servants & maids who acted as a chorus), the timing of all the performances and the delight with which each actor played their role, tongue-in-cheek, made this a fun evening of comedy and joy. I sometimes take a break from "serious" literature to read some genre fiction. After reading Julia Keller's review of Michael Connelly's most recent novel I decided to try one of his earlier works, The Closers, featuring Detective Harry Bosch. I was not disappointed as the novel was tightly woven, suspenseful story of crime and detection. In it Detective Harry Bosch is brought out of retirement by a new chief of police and assigned to a new division called "Open-Unsolved"; basically a 'cold case' division that is known as "The Closers". They look into cases that have remained unsolved for many years, and are hoping to close the file after all these years. He is teamed with his old partner, Kiz Rider, and they have the DNA of a man connected to the murder, but quickly discover that there may be more to this case than there seems. It is a seventeen-year-old case whose twists and turns kept this reader turning the pages until the resolution almost four hundred pages later. The book is full of realistic details about police work and references to some of the changes in criminal law, particularly the impact of "hate crimes". The change in the science of detection with the advent of DNA and its' resulting ubiquity is also an important factor in the story. This was a delightful light read, and introduced my to an author to whom I plan to return for more enjoyment in the future. While currently visiting my sister in northeastern Nevada I have had the opportunity to peruse two picture books for children. I was impressed and delighted with both. Each provide lavish and interesting illustrations intertwined with provocative narratives. One of the books, The Wall by Peter Sis, is a memoir of his childhood growing up behind the Iron Curtain in the former Republic of Czechoslovakia. Line drawings and personal photographs tell the history of the boy's world as he experiences the world. His own passion for drawing is the inspiration that infuses the book with joy and spirit and, in the end, inspires the reader as well. The other book, The Invention of Hugo Cabret by Brian Selznick, is both fantasy and mystery of a young boy in Paris whose life and search for the meaning of secrets is told through an amazing mixture of text, pictures, and graphics that at times tell the story by themselves. This is an exciting book to read and it was no surprise when I noticed it held a place on the most recent New York Times Book Review children's book bestseller list. Both of these "children's" books are worth spending time reading and prove thought-provoking for readers of all ages. The Invention of Hugo Cabret by Brian Selznick. Scholastic Press, New York. 2007. The Wall: Growing Up Behind the Iron Curtain by Peter Sis. Farrar Straus & Giroux, New York. 2007. For as long as I can remember I have been fascinated by "novels of ideas". They are novels for which the ideas play an important and integral part in the work as a whole. 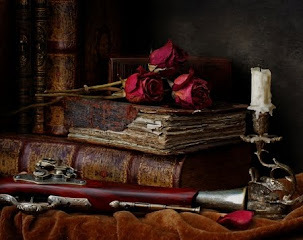 My personal favorites included the following examples that may help as I have found them worth reading and rereading: The Brothers Karamazov, The Magic Mountain, Death in Venice, The Plague, Auto da Fe, Atlas Shrugged, Zorba the Greek and The Man Without Qualities. Each of these has at its core the artistic display of ideas, both explicitly and implicitly. In each characters represent ideas and in some there are sections in which the ideas are directly displayed in essays, letters or other direct comments by the author. Reading a book multiple times you begin to spot details and connections that you may have missed on previous reads. That is the case for me with Ian McEwen's fine novel, Atonement. Having both read it for at least two previous book groups and seen the movie version, my reading this week focused on the structure and some of the details. McEwen's novel has some of the hallmarks of great books in his attention to details, for example the broken vase from the opening that reappears late in the story and is really broken. I was also fascinated by Briony's fixation on order leading to her ordering her world as best she could. This is demonstrated by the orderly attention to detail of her bedroom and her relations with her family that eventually break down and neatly lead in to the crisis of the first section of the novel. The structure of the novel mirrors the importance of order with traditional chapter numbers in the first section and none in the later books of the novel. There are more indications, all of which point to the excellence of the novel. Briony Tallis, at three stages of her life, narrates this searing account of lives ruined and, perhaps, salvaged. Told with an exquisite detail that captures the heat of an English day, the passion of young lovers, the chaos of war and retreat, and a conscience that tries to right past wrongs, McEwan is at his best as he recreates Briony's life and her struggle to tell the truth about a childhood error that ruined many lives. It was short-listed for the Booker Prize, which McEwan won for Amsterdam.I have grown to appreciate and even like this novel, and I would recommend it to all who enjoy history and serious drama portrayed in fine literature. One of the joys of reading is the characters who inhabit the fictional worlds of literature. Reflecting on my own reading I remember some of my favorites and find that they may provide me with information about my self. I like people who have traits that I admire. And I do not always like the heroes or heroines of my favorites works; at least not as much as some of the other characters or those from works which I do not value as highly. Some examples follow with brief commentary. Last night at the monthly Plauche reading group we discussed Great Expectations, among whose characters I am particularly fond of Joe Gargery, Pip's brother-in-law. He demonstrates many admirable virtues primarily being Pip's friend and support throughout the story, even when Pip treats him unjustly. 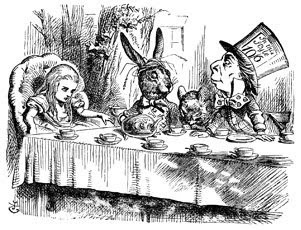 Also on my list, and this is not in any particular order, are Alice in Wonderland, Jane Eyre, Dorothea Brooke of Middlemarch, Howard Roark of The Fountainhead, Bernard Rieux in The Plague, Pierre Bezukhov in War & Peace, and Larry Darrell in The Razor's Edge. This list (which definitely not comprehensive) may seem a strange grouping, but these characters are all memorable for me and demonstrate some characteristics which I admire even as they are also flawed in many ways. Aren't we all? I think this particular group share in common the trait that they are all seekers; after happiness, knowledge, wisdom, love and a better life. They do not all succeed completely, but they pursue their goals in admiral ways and I find them one of the primary reasons to continue reading, searching for myself. Simon Stephens' play, which won the prestigious British 'Olivier Award' as the best new play in 2006, is currently receiving its Chicago Premiere produced by the Griffin Theatre Company. I attended yesterday's matinee and concur with the critics' reviews that this is an outstanding production. Jonathan Berry directed with focus and cohesiveness essential for the multi-generational story. The play tells of three generations of the Holmes family whose lives are touched by tragedy and gradually uncovered during the course of the play until you feel like you are a part of their family. During the first two sections the tension builds and events suggest the potential of dire fates for some of the family, but there are also glimmers of hope and the ultimate outcome is not clear until the last scene. The cast was excellent with Paul D'Addario and Elise Kauzlaric exceptional as the parents, Peter and Alice. Josh Schecter, new to this theater, was a convincing young Christopher Holmes while the grandfather, Charlie, a difficult role, was handled with rough-hewn realism by Norm Woodel. The portrayal of both hesitant young love and unique adult tensions was a key aspect of this thought-provoking drama. I would highly recommend it. Yesterday I attended the First Friday Lecture sponsored by the Basic Program of Liberal Studies at The University of Chicago. I was filled with anticipation not so much because of the topic but because the lecturer would be A. P. David, a former instructor in the Basic Program, with whom I had studied in several classes in the early nineties reading Plato and Tolstoy among others. I was fortunate to meet him and say hello before the lecture and find that he he did remember me almost ten years after leaving the program. While obtaining his PhD from the Committee on Social Thought his specialty was Homer so I expected the lecture would be exceptional and I was not disappointed. David shared a list of Home Truths about Homer and provided brief arguments in support of each of them. In doing so he demonstrated his thorough knowledge of Homer and other writers; for example at one point he invoked Jane Austen's Mansfield Park as an example to support his argument. There were twelve 'Home Truths' and while I will not list them all I will mention some of them. 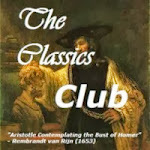 They included some well known and accepted (I believe) truths like the fact that we know nothing about Homer's life, that the Greeks are not mentioned in Homer, and the fact that Homer does not mention Iphigenia, the supposed daughter of Agamemnon who is so important to later Greek dramatists such as Aeschylus. 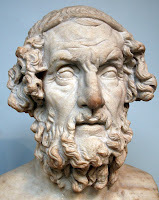 More interesting were some of his less well-known truths such as the poet known as Homer was female, Aphrodite is real, and there is no soul in Homer's poems. Most interesting was his argument for the origin of Homer's poetry in the 'Dance of the Muses' for which he shared a video presentation of a dance version of Homer read in the original Greek. The Lecture as a whole was both impressive and inspirational. It provided many ideas to spur my rereading of The Iliad. In 1830 Hector Berlioz conceived his Symphonie Fantastique as an autobiographical tale which according to the composer's own detailed program was composed to describe the tortured dreams of a sensitive artist in lovesick despair who takes an overdose of opium and becomes haunted by visions of an unattainable woman. In the penultimate movement of this epitome of Romanticism he depicts the musical equivalent of opium hallucinations ('Marche aux supplice'). This music referred to the pleasures of opium, production of which had been growing since the eighteenth century development of the opium trade by the British East India Company. Even before Berlioz, in 1821 Thomas de Quincey published the first edition of his now famous Confessions of an English Opium Eater chronicling his experiences with the drug. These included his dreams and the original manuscript was written in haste at one might say a 'fever pitch'. The final section, "The Pains of Opium", recounts the extreme of the author's opium experience (up to that time), with insomnia, nightmares, frightening visions, and difficult physical symptoms. Thomas de Quincey revised his 'Confessions' for a new edition in 1856 and it is this edition that we enjoy today. 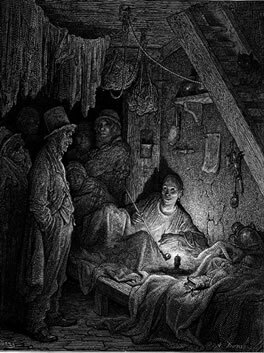 The man is John Jasper who, in a Jekyll and Hyde fashion, will inhabit the book and find the aura of the opium den is not the only part of his aspect that suggests villainy. One mystery in the story is that no proof is ever presented of any overt malediction on his part; therefore we must simply rely on his creepily obsessive behavior enhanced by the aura of the opium den to feed our speculations. At the end of the manuscript we have only journeyed halfway into the story; thus the ends are left loose and destined to lay before us like unanswered questions for eternity. A new collection of the essays of George Orwell is always welcome and this one is timely in this hyper-political election year. "if thought corrupts language, language can also corrupt thought. Bad usage can spread by tradition and imitation, even among people who should and do know better." 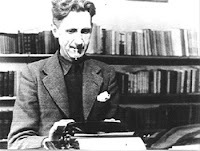 The usage of political speech in the twenty-first century is proof enough of Orwell's claim. Thoughtful criticism, such as Orwell's, is woefully lacking in our current day, particularly among practicing politicians and their supporters. Reading Orwell reminds one of the possibilities of fine prose. His essays never fail to be both enlightening and interesting on each of the disparate topics he addresses. I hope that some of the many readers of his novels will take the time to savor their fine prose. All Art is Propaganda: Critical Essays by George Orwell. Harcourt, New York. 2008.